A USB flash drive is an almost essential tool in our modern lives. It allows us to not only carry around precious information, but it also helps to transfer data from one device to another within seconds. They come in a variety of shapes and sizes to meet any need one may have. Some even come with multipurpose functionality such as a mini flashlight or in the shape of characters in popular culture. Who wouldn’t want a cool looking USB flash drive sticking out of their computer? However, the sheer range of portable data storage products available online, in terms of size, shape and speed can be quite overwhelming. Here is a list of some of the best USB flash drives for you to peruse through. 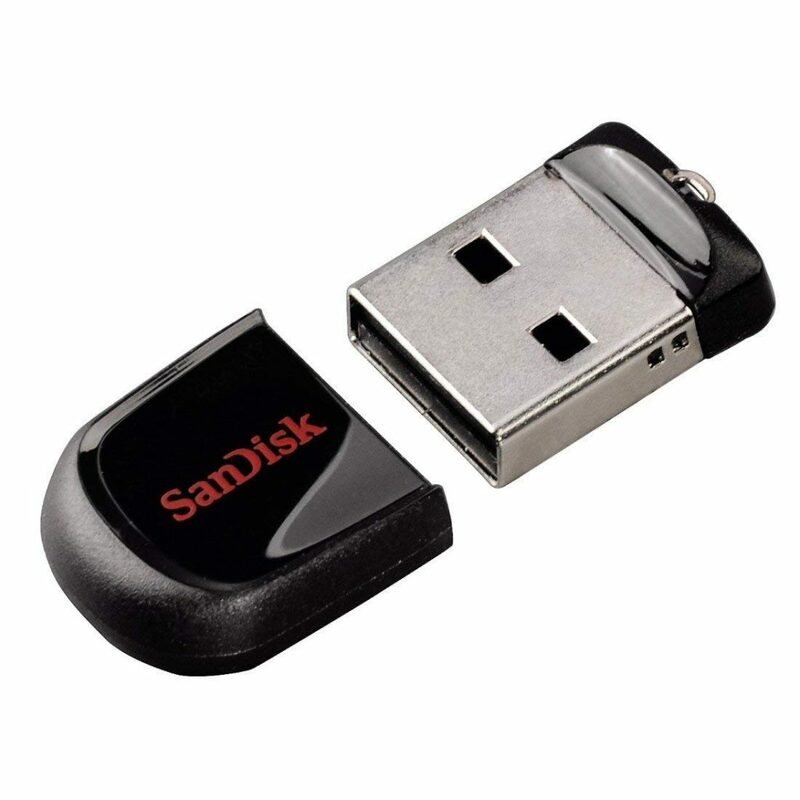 The SanDisk Extreme CZ80 comes at a convenient size of 2.79 x 0.84 x 0.45 inches, 16 GB capacity, read speed (up to 245 MB/s) and write speed (up to 50 MB/s) along with SanDisk Secure Access software, backward compatibility with USB 2.0 and a lifetime limited warranty. If 16 GB is too low for you in terms of storage space, then you can go for the 64 GB version. One truly impressive aspect of this flash drive is its speed, considering its relatively low price point. It can realistically reach a read speed of 229 MB/s and a write speed of 178 MB/s, when transferring large files, which is very impressive as it’s very close to the speeds being advertised on the company website. The speeds go a bit down when it comes to smaller files but it is still way higher than most other products at this price range. The CZ80 also has a certain visual flair with its slim and smooth design. It comes with a built-in slider that pushes the USB plug out. When you push it out, there is a nice smooth spring action feel to it which feels quite satisfying and durable. All in all, the SanDisk Extreme CZ80 may not be the fastest or cheapest option out there but it brilliantly blends both performance and affordability to create a truly amazing experience. The Samsung BAR Plus is 1.58 x 0.61 x 0.47 inches in size and comes with a read speed of 300 MB/sec and a write speed of 200 MB/sec. It also comes in two striking colors; Titan Gray and Champagne Silver. It comes with V-NAND technology for more efficient performance and is built to last really long. 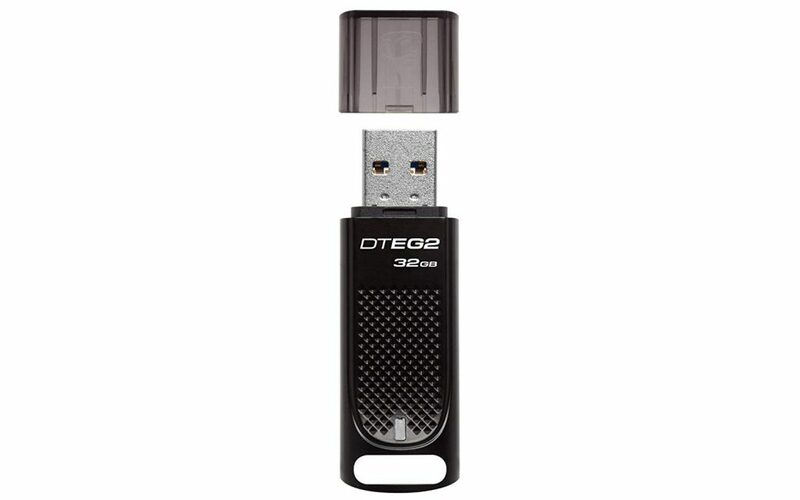 Moreover, you also get the latest USB 3.1 standard which can potentially transfer a 3 GB file from your flash drive to your computer in 10 seconds which is mind blowing. As far as storage capacity is concerned, it is available in a variety of different options such as 32 GB, 64 GB, 128 GB and 256 GB. The first thing that will catch your eye is its stunning looks. The Samsung BAR Plus looks absolutely drop dead gorgeous. The aggressive and bold looks with a metal cased exterior and a beautifully designed key ring is a sight to behold. Moreover, it is also water proof, shock proof, temperature proof, x-ray proof and magnet proof making it an excellent choice for those who are constantly on the go. According to the manufacturer it can last for up to 72 hours in sea water, withstand temperatures ranging from -25 degrees to 85 degrees. This of course should be taken with a grain of salt. All in all, this is an amazing USB 3.1 flash drive to have due to its amazing versatility. Its durability, price point and large storage capacity makes it a great product to buy if you are looking for USB flash drives. The ADATA S102 PRO is 2.4 x 0.4 x 0.6 inches in size and comes with a read speed of 200 MB/s and write speed of 120 MB/s (for the 256 GB drive). It is also USB 3.1 compliant with USB 2.0 backward compatibility. It supports various platforms such as Windows XP, Vista, 7, 8, 10, Mac OS 9.X and Linux 2.4. 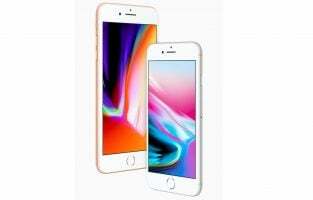 It also comes with different storage capacity versions such as 8 GB, 16 GB, 32 GB, 64 GB, 128 GB and 256 GB. 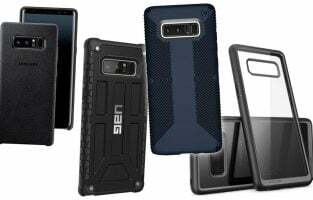 The body is durable but lightweight with an aluminum casing. It comes in 2 dazzling colors; titanium and blue. The exterior is scratch and dirt resistant with a matte surface making it ideal for those on the go. When you want to use the USB drive, you can just remove the cap and fit it on its back. 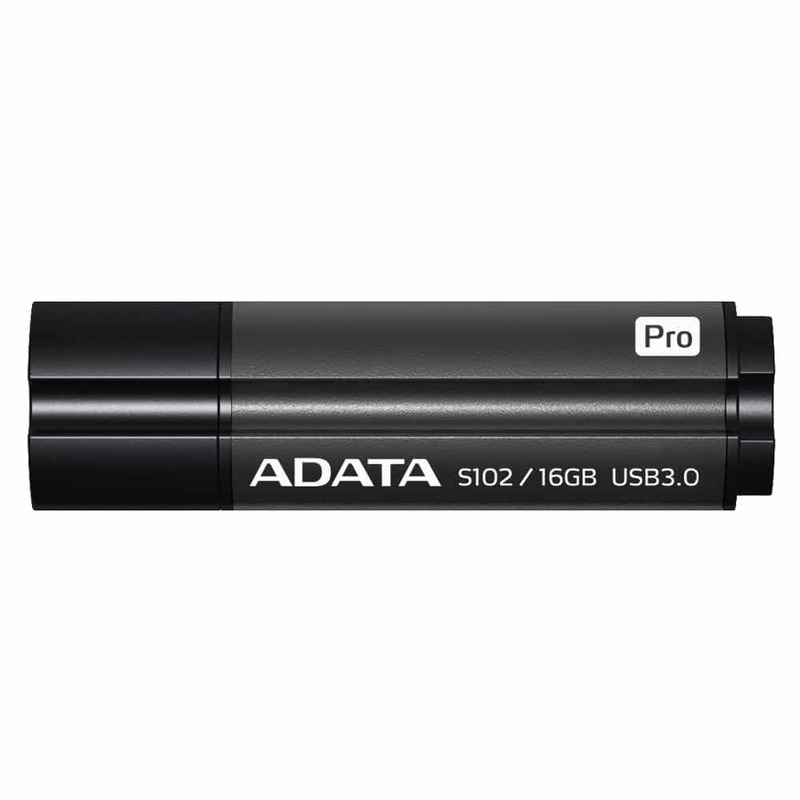 The 16 GB ADATA S102 PRO is one of the best options to go for if you are looking for a cheap flash drive that performs well. However, it is important to note that the 16 GB one has a read speed of 90 MB/s and write speed of 25 MB/s. When it comes to transferring large files, you can get an average read speed of 115 MB/s but only a write speed of 36 MB/s. However, these numbers are still way over what you will get from other products around $10 price range. 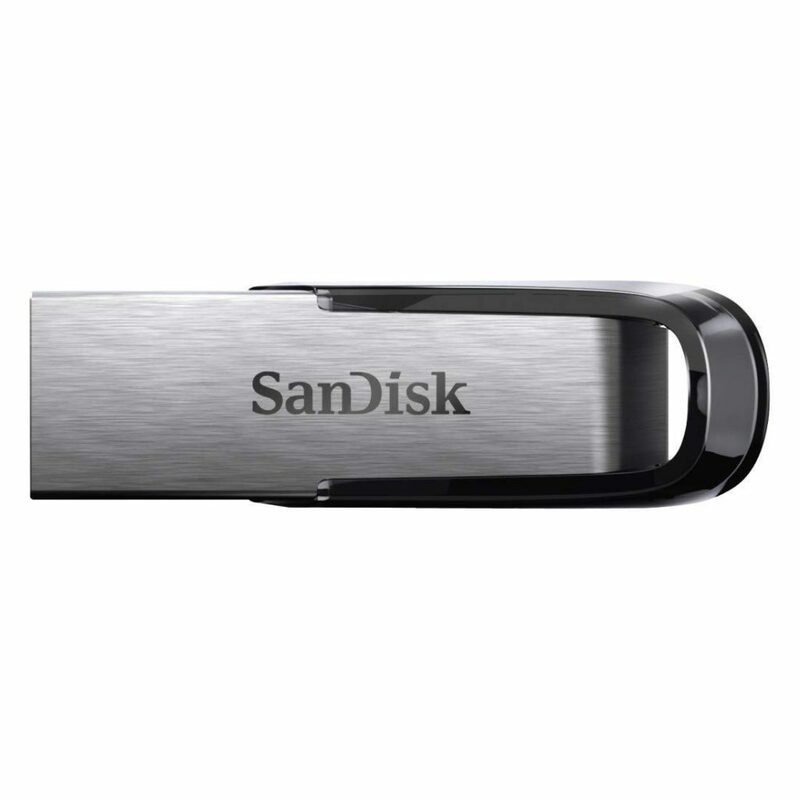 The San Disk Ultra Flair USB 3.0 flash drive is 0.52 x 1.67 x 0.26 inches in size and comes with a variety of storage space options such as 16 GB, 32 GB, 64 GB, 128 GB and 256 GB. The 256 GB variant has transfer speeds of up to 150 MB/s which allow you to transfer a full movie file within 30 seconds which is pretty insane. The body has a classic yet stylish look and feel to it. The exterior is also sleek and durable with metal casing providing protection against unexpected knocks and drops. On the security side, the San Disk secure access software allows you to password protect and encrypt your precious files. All you have to do is drag and drop your files into the vault and they will automatically get encrypted. Another great aspect of this flash drive is the RescuePro Deluxe Software. With it, you can recover any accidentally deleted files with ease. All in all, the San Disk Ultra Flair 256 GB is a great flash drive to have especially with the recovery software. The San Disk Cruzer Fit CZ33 64 GB comes at a tiny size of 0.69 x 0.5 x 0.26 inches; ideal for use in entertainment systems and music players in vehicles. You also get the SanDisk Secure Access software and a limited 5-year warranty. This flash drive certainly isn’t the fastest one out there today but its price as well as its size makes up for its shortcomings. Visually, there’s not much to write home about, but it does look cute especially when you see its size. It also comes with built in LED that flickers when the drive is being accessed. Unlike other flash drives out there, the intensity of the LED’s is not too high neither too low. Due to its tiny size, you don’t have to worry about it obstructing anything while being plugged in to your car audio system. 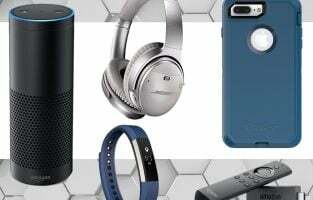 Its storage capacity is more than enough to store all your favorite songs and more. If you’re looking for a flash drive to store all your music in, then the San Disk Cruzer Fit CZ33 is the perfect one for you. The Kingston Digital Data Traveler SE9 is 1.5 x 0.2 x 0.4 inches in size and comes with various storage capacity options such as 8 GB, 16 GB and 32 GB. On average, you can get read speeds for about 16.1 MB/sec and write speeds of 6.8 MB/sec while transferring files. You can also get higher speeds in the range of 18 MB/sec and 11 MB/sec for read and write speeds respectively but the average is usually lower. The body looks and feels durable with a metal casing exterior and a sturdy ring at the end. The ring allows you to easily clamp your flash drive to your key-chain if your plan is to use it for your car audio system. The cap-less design doesn’t look spectacular by any means but it does the job well enough. 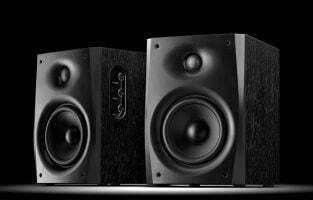 The relatively small size makes it a great choice to have for notebooks, car audio systems and even home entertainment systems. All in all, it’s an amazing 2.0 USB flash drive perfect for a variety of different purposes. It also has one of the most durable bodies when it comes to USB flash drives. It’s perfect for those who always need a flash drive for their work/presentations etc. The Kingston Digital Data Traveler Elite G2 is 2.34 x 0.75 x 0.43 inches in size, read speed of 180 MB/sec and write speed of 70 MB/sec. It also comes with USB 3.0, 5 different styles (DT50, DTSE9G2, DT104, DT106 and DTEG2) and an LED status indicator. It is one of the fastest USB flash drives out there especially at its price range. It also comes with a variety of storage capacity options such as 8 GB, 16 GB, 32 GB, 64 GB, 128 GB and 256 GB. 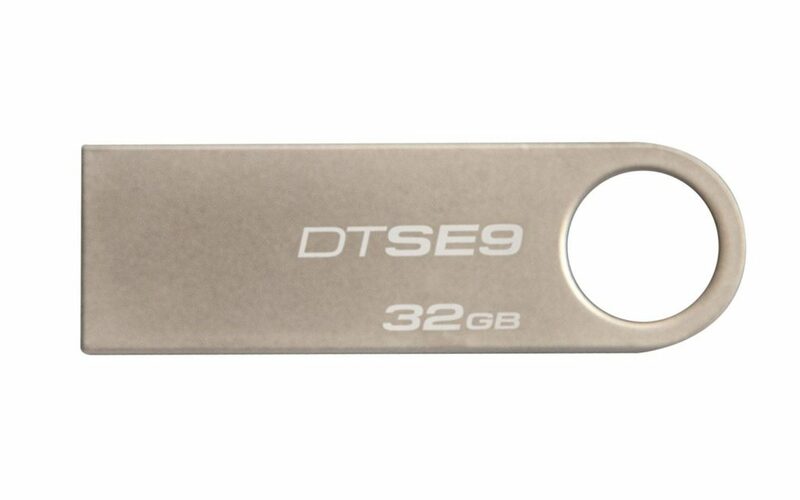 Most USB flash drives come with plastic cases but the Kingston Digital Data Traveler Elite G2 has a metal casing giving it extra durability. The rugged dotted patch on the body goes well with the sleek design of its waterproof exterior. It looks absolutely gorgeous when plugged into a laptop or a notebook. As far as performance is concerned, it is one of the most consistently well-performing USB flash drives out there. There are a few products with better speeds, but even they don’t have the same level of consistency. However, what really makes it unique is its durable body. It is easily one of the sturdiest flash drives available for purchase in the market today. The LED blinks when the drive is active but it turns off when it’s not in use. Most LED’s found in flash drives keep blinking as long as it is inserted into a device. All in all, this is a great flash drive to own due to its unmatched versatility. The Corsair Flash Voyager GTX is 0.42 x 1.04 x 3.07 inches in size, read speed of 440 MB/sec, write speed of 440 MB/sec, a rugged zinc alloy exterior and USB 3.1 standard. 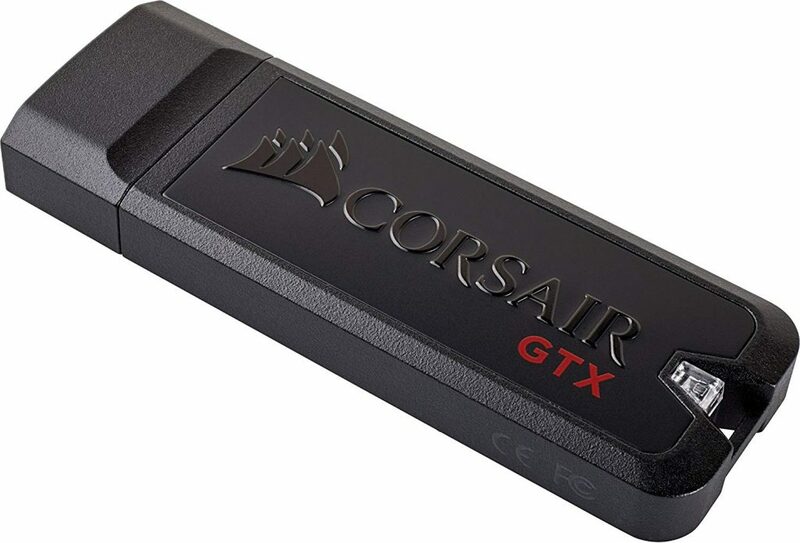 Corsair is well known for their high-quality computer hardware products and with the Flash Voyager GTX, they are here to dominate the flash drive market. This is one powerful flash drive which might burn a small hole in your pocket, but it will surely make you fall in love with it. It comes with different storage capacity options such as 128 GB, 256 GB, 512 GB and 1 TB. The rugged zinc alloy exterior with aluminum accents lets you know that it means business. The design itself isn’t too outlandish or cutting edge but it is menacing to look at. You also get the Corsair SSD Toolbox software with which you can format, partition and optimize the drive performance to your liking. Performance wise, realistically you can get read speeds of 384 MB/sec and write speed of 130 MB/sec for movie files which is insane and 240 MB/sec read speed and 90 MB/sec write speed for images. It comes with USAP and TRIM enabled which basically means that it is an SSD in the form of a flash drive. All in all, the Corsair Flash Voyager GTX is a premium well-built beast with amazing performance, an amazingly durable exterior and massive storage capacity options. The Kingston Digital HyperX Savage is 3 x 0.9 x 0.5 inches in size and has a read speed of 350 MB/sec and a write speed of 250 MB/sec. It is also one of the few best-performing flash drives out there in the market with 512 GB storage capacity. You also get to choose from a variety of smaller storage capacity options such as 64 GB, 128 GB and 256 GB allowing you to buy the one that best fits your needs. 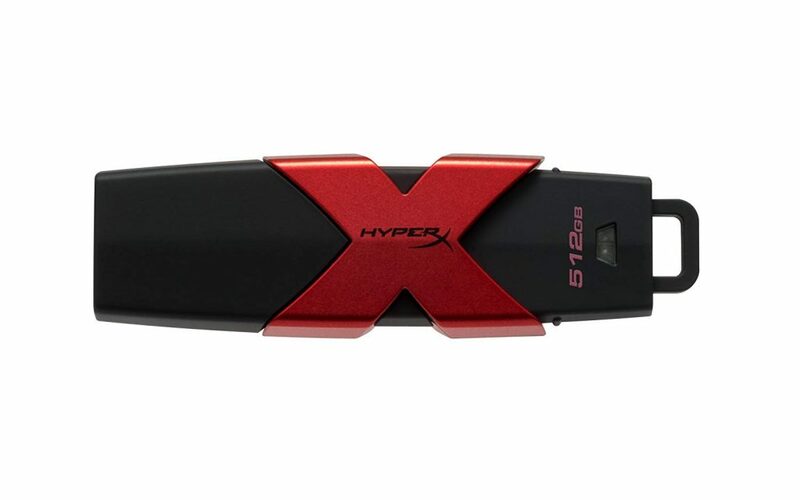 Visually the HyperX Savage is one of the best-looking flash drives available for purchase today. The stylish and aggressive exterior looks stunning with its black casing and the embossed red Hyper X logo on top. This is one flash drive that will surely turn heads. As far as performance is concerned, it is one of the fastest flash drives out there today. It is one of the very few storage devices out there that can actually achieve the advertised read and write speeds from the manufacturer. While transferring movies files you can get a realistic read speed of 250 MB/sec and write speed of 270 MB/sec. For images, the read speed reaches up to 250 MB/sec and the write speed goes up to 100 MB/sec. All in all, it’s an amazing flash drive with unbelievable performance and killer looks. If you wish to own one of the fastest USB flash drives, then the Patriot Supersonic Rage 2 is the right choice for you. Price is definitely a bit high, but so is the quality and speed of its performance. 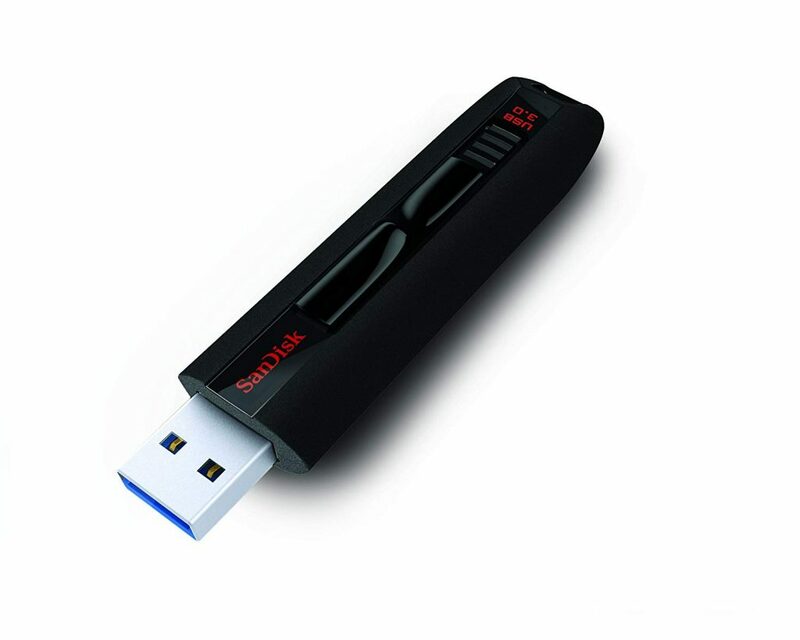 To transfer the large files quicker, this USB flash drive is a good option. 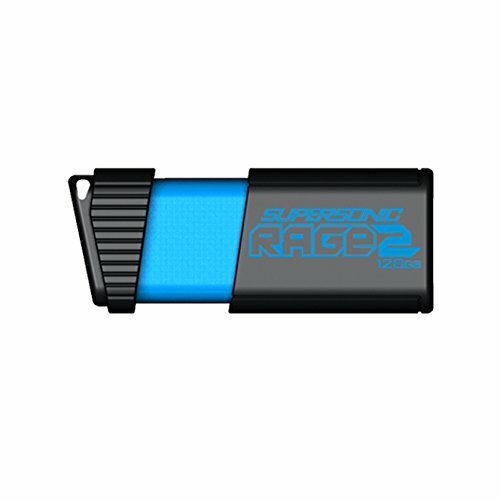 Patriot Supersonic Rage 2 flash drive with its 128GB capacity, is also a remarkable choice to store your data and carry it around with you. 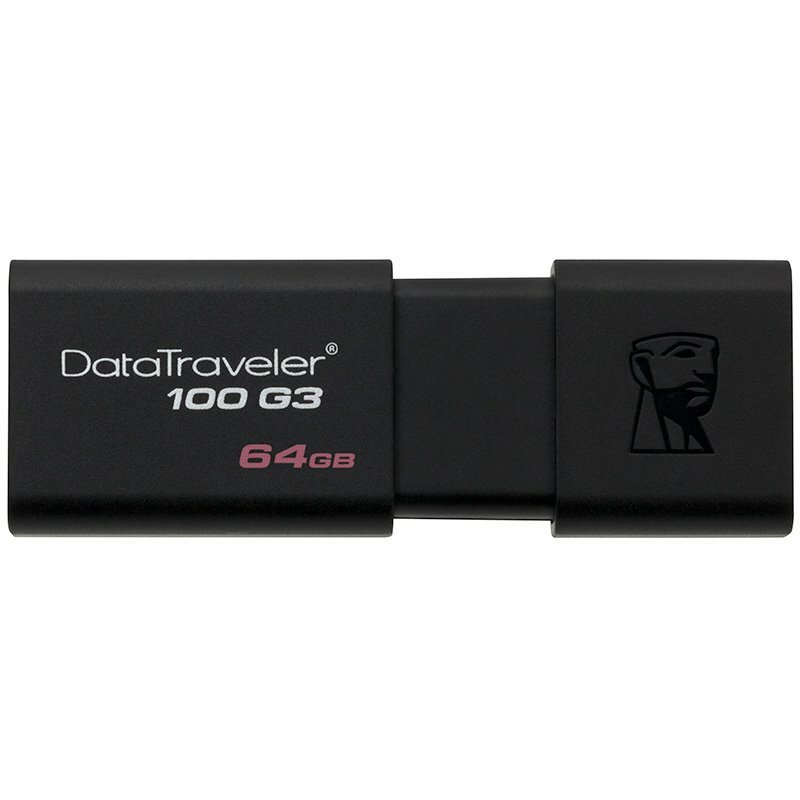 The Kingston Technology Data Traveler 100 Generation 3 is one of the most reasonably priced USB 3.0 flash drives in the market. It has a storage capacity of 64GB. As the name suggests, the data travels in this drive with the read and write speed of 150Mbps and 70Mbps respectively. Verbatim is a recognized name in the field of memory drives, and quality and performance. 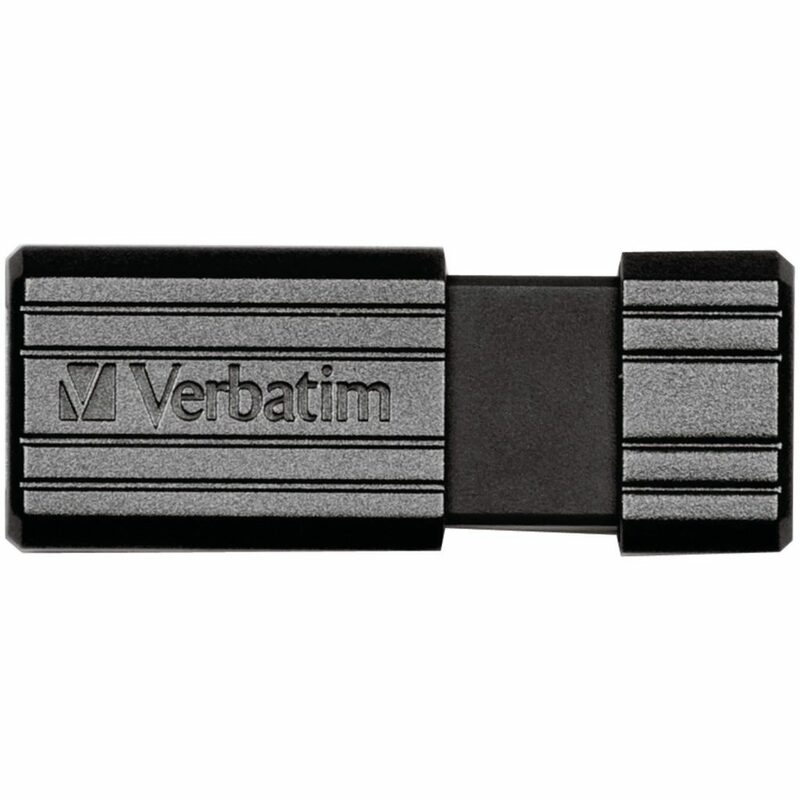 Verbatim Pinstripe USB 2.0 is one of the most reasonable priced USB flash drives. It is quite easy to transfer and share files through this drive. This drive is a lightweight device with pinstripe design and is obtainable in different storage capacities, going from 2 to 128GB. It is available with 2-year warranty and has a slim retractable design. PNY Technologies, Inc is an America-based manufacturer of memory devices. This USB drive is10 times quicker than regular PNY USB 2.0 Flash Drives. With the storage capacity of 256GB, PNY Turbo flash drive enables you to transfer and store files with a large amount of data in a faster way. This flash drive has a very convenient and portable design. 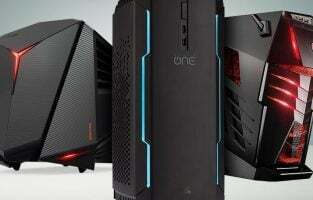 It is well-matched with both Mac and PC laptop and desktop computers. 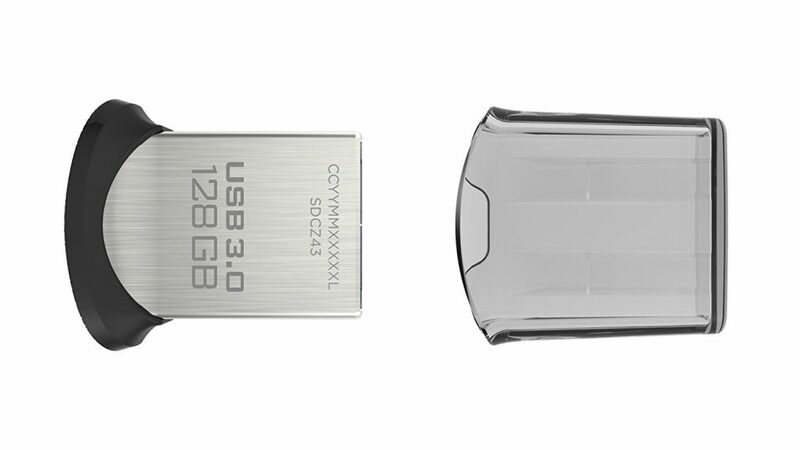 The Patriot Supersonic Mega USB 3.1 flash drive offers excellent performance along with a tasteful design. 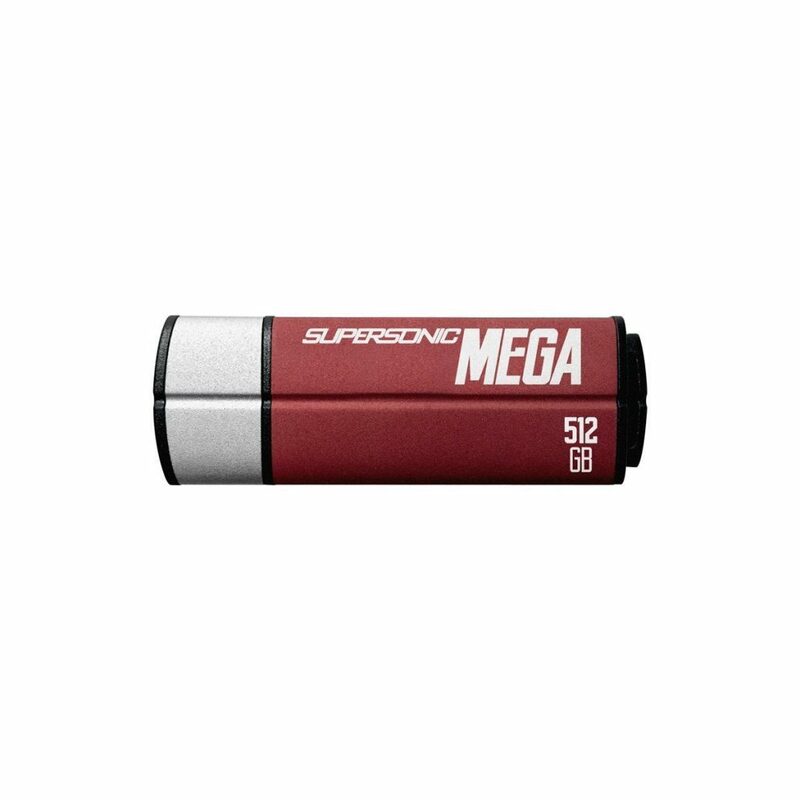 Offering some of the largest capacity drives, the Supersonic Mega delivers some of the highest storage capacity products in the market. Built with a sturdy aluminum cover, this drive is resistant to shock up to 15Gs. It ensures better security of your data. In addition, USB 3.1 feature makes sure that Patriot 512GB Supersonic Mega will perform approximately 10 times better and faster than the standard USB 2.0 drives. It can transfer a 2GB file just in few seconds. The read and write speed of this drive is 380MB/s and 70MB/s respectively. The Patriot Supersonic Mega USB 3.1 comes with a 5-year warranty. It is compatible with most recent versions of Windows, Mac and Linux 2.4. 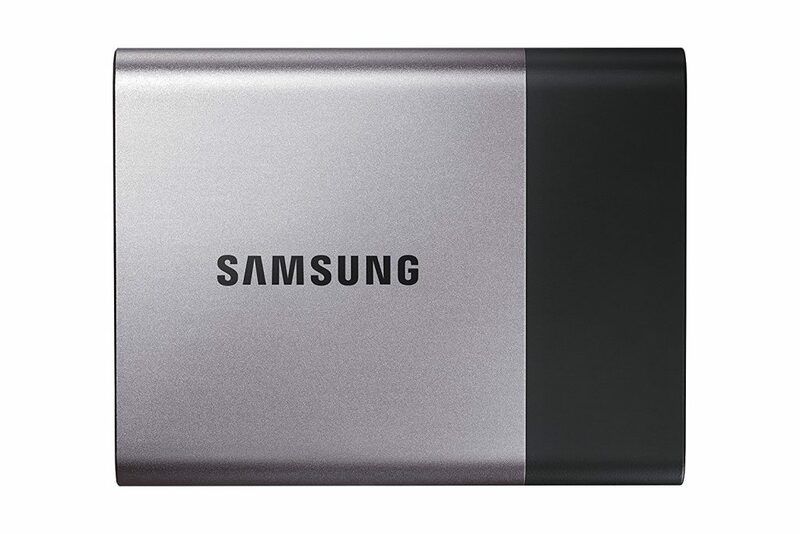 The Samsung T3 Portable SSD has been intended explicitly for a current mobile generation. This drive delivers a total storage capacity of 500GB. The huge storage capacity makes it quite easy for you to carry large amounts of important data with you wherever you go. This 500GB drive can transfer the data at a blazing speed of 450 MB/s and it weighs two ounces. With an influential and convenient design and a sturdy, shock-resistant metal build, and built-in AES 256-bit hardware encryption, this drive provides ample protection to your crucial data. This portable SSD is compatible with various latest devices including Android tablets, Windows, MacBooks, smartphones, Ultrabooks, etc. It comes with a 3-year warranty. Samsung also offers this drive in different capacities of 250 GB, 1 TB, and 2TB. 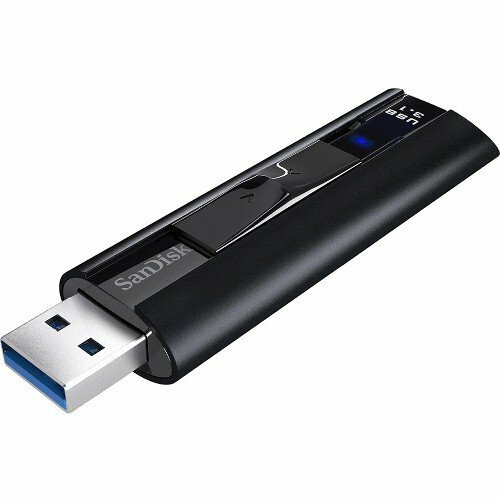 If you do not want your USB drive sticking out of your tablet or laptop, while you are working, then a low profile USB drive is a decent choice, but SanDisk Ultra Fit CZ43 is an outstanding choice. 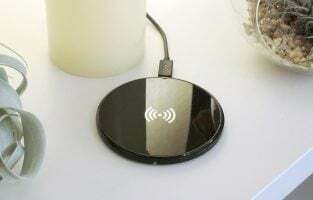 It is a small and lightweight device that you can easily carry around with you. 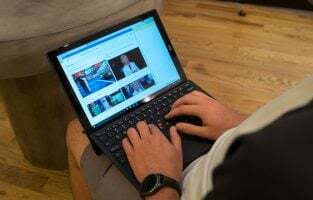 With a high-speed performance of USB 3.0 and storage capacity of 128 GB, you can transfer your photos, videos and other files with a huge amount with a read speed. The transfer speed is up to 130MB/s and 15 times quicker than a regular USB 2.0 drive. The SanDisk Extreme PRO offers one of the fastest, solid state performances for its users. With the storage capacity of 256 GB, the speed of read and write for this flash drive is up to 420MB/s and 380MB/s respectively. It means you can transfer about 4GB of data in less than 15 seconds. The stylish aluminum metal casting design is both stylish and resilient. 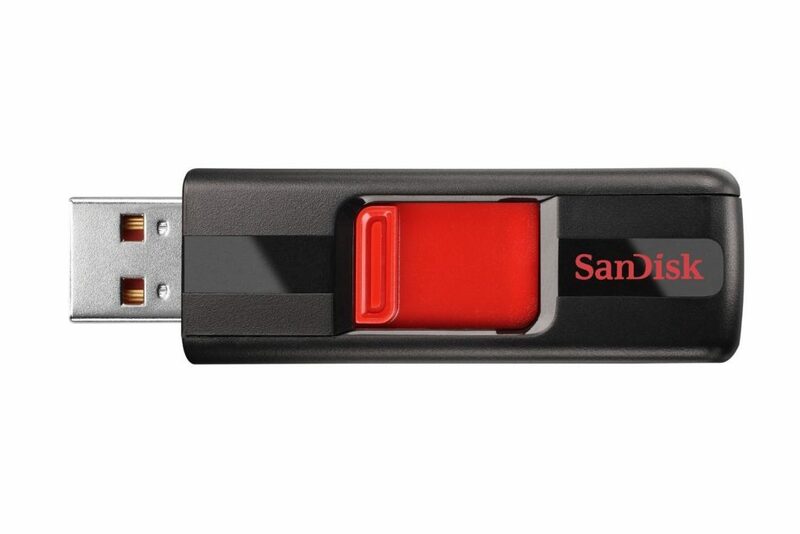 The SanDisk SecureAccess software, which has been integrated with this flash drive, ensures that your crucial and confidential files remain protected. In addition, due to some unfortunate reason, if you lose your data from this drive, you can easily recover them using RescuePRO Deluxe software. This drive offers a limited lifetime warranty. 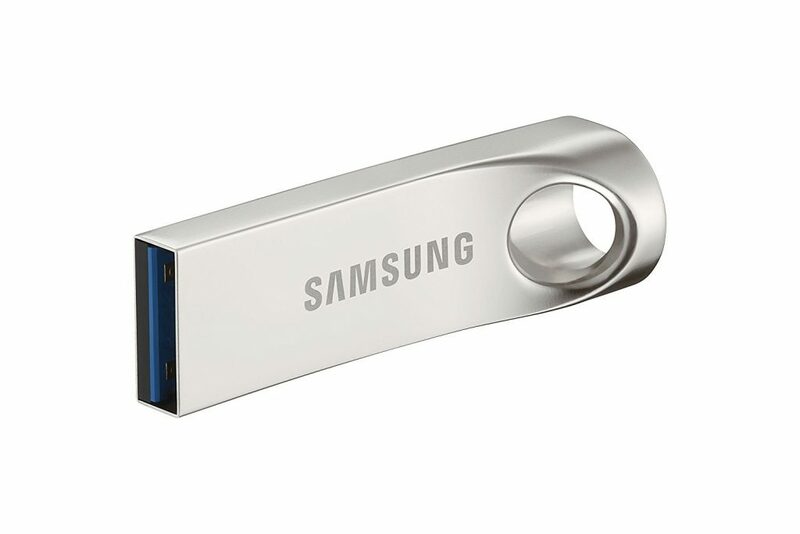 Samsung 32GB Bar (Metal) USB 3.0, integrated with NAND technology, is the future of flash drives. 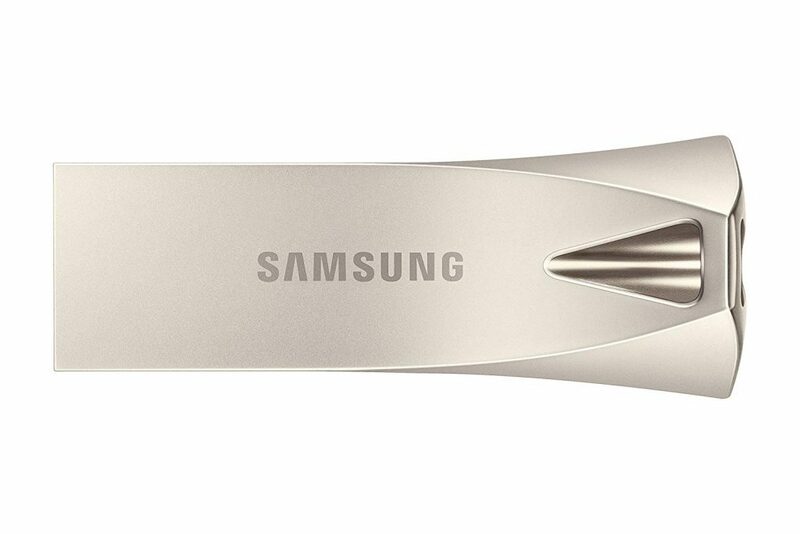 Designed with an exceptional and sophisticated design, this smooth Samsung USB drive offers a pleasing blend of style and performance. This drive is equipped with 5-proof technology i.e. it is waterproof, temperature proof (0-60 degree), shockproof, etc. It means your data is protected from any outside influence. In addition, this flash drive is covered in a top quality metal casing. This makes it a very durable and long-lasting device. You can transfer the data with the read and write speed up to 130 MB/s and 100 MB/s respectively. Samsung also offers a 5-year warranty on this product. This drive is also available in the capacity of 64 GB and 128 GB. 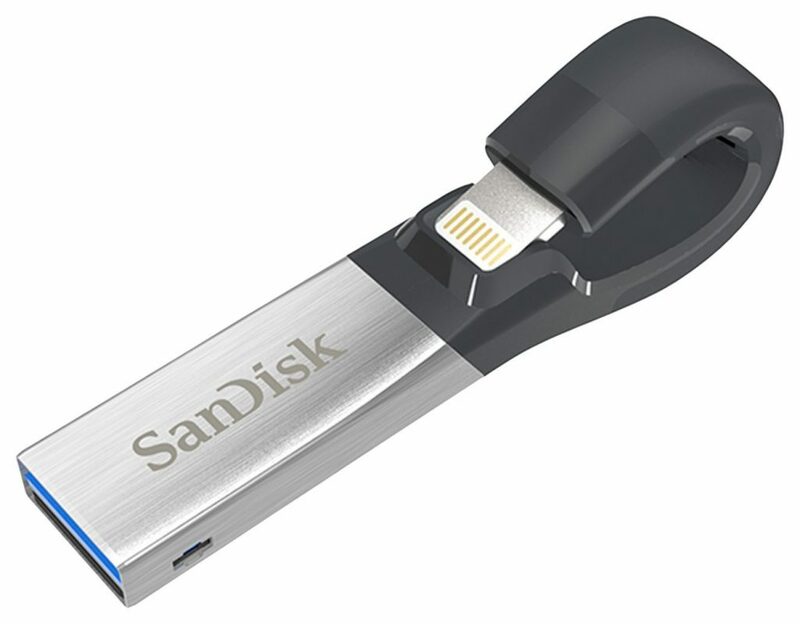 SanDisk iXpand 128GB is the impeccable buddy for your iPhone, iPad, and computers. Using this flash drive, you can transfer data from Apple devices and create free space for more images, videos, or other data. You can easily transfer your files from your Mac computer or PCs. This flash drive also offers password-protection software in order to keep your data protected across all your devices. In addition, it can keep more than 7,200 photos or 8,000 songs. MacBook needs a USB Type-C device and that is where this swivel dual-interface Silicon Power C80 64GB Flash Drive comes into play. It supports both type C and regular type A USB 3.0 ports. It comes equipped with a 360-degree sturdy swivel cap design that safeguards the connectors and casing build with zinc alloy. Moreover, this drive is remarkably resistant to marks, scratches, and finger marks. Silicon power C80 assures more established, effortless, and quicker data transfer. The C80 does not have need of any distinct software to work with any device. You simply have to plug it into the device port and it will get ready for use. 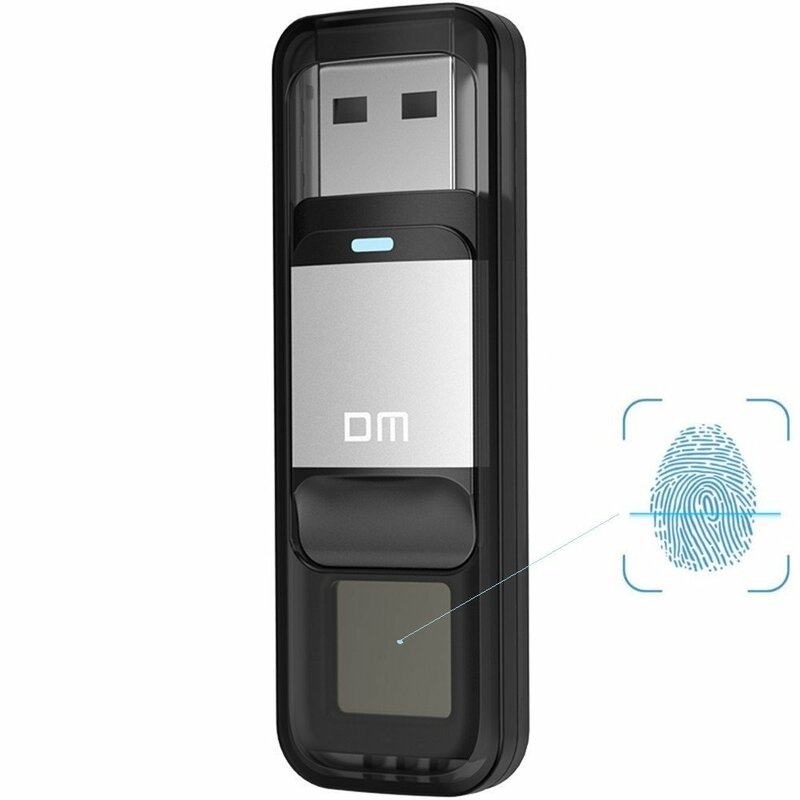 Using fingerprint protection with high-speed identification, this device offers you an excellent blend of data storage capacity and biometric technology. It helps in averting unwanted users with malicious intentions to get access to your confidential data. It is quite easy to transfer data from your system to this drive. All you have to do is plug the drive and transfer your photos, videos, games, songs, and other important files at the speed of 5600MB/s. In addition, you can program and keep up to six distinct fingerprints so as to give a small group of people access to your protected files. This drive contains two incorporated sectors, public and secure or hidden. You can transfer the less confidential information to the public sector, without complete access and storing your most important files in the security sector. 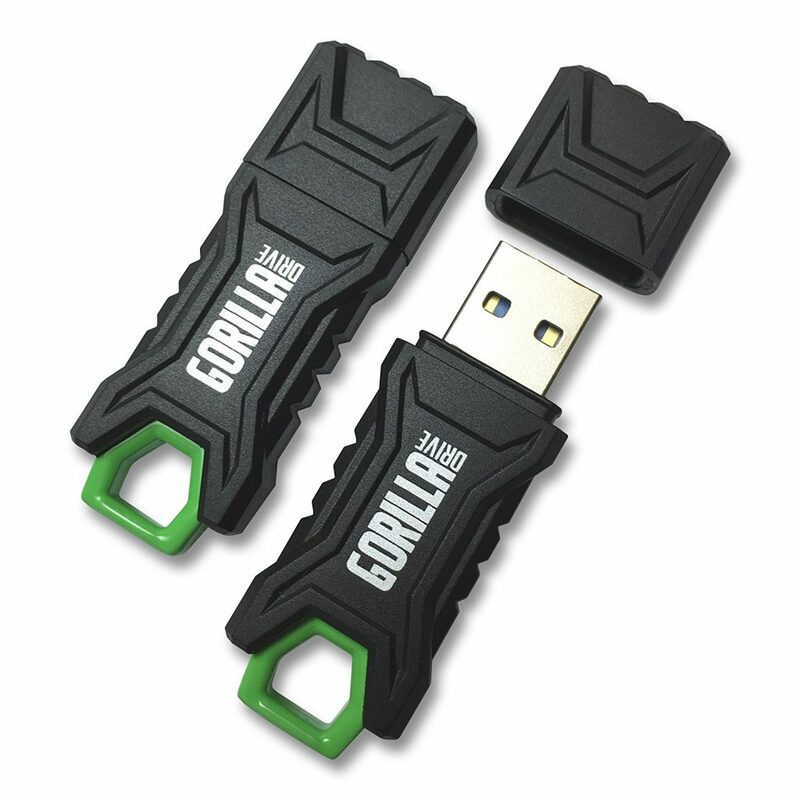 The GorillaDrive USB 3.0 offers high-speed interface. It has the ability to transfer your important files up to ten times quicker than the regular USB 2.0 drives at the speed of 100MB/s. Built with a metal loop and a resilient silicon compound, this drive can take on the wears and tears of everyday life. The body and cover of this drive are built from a shock and scratch resistant TPU material that offers pressure and heat resistant protection. You can transfer and store your files from workplace, school, or home without worrying whether they will make the journey or not. With SanDisk Cruzer CZ36 64GB USB 2.0, you can experience finest, most trustworthy, and secure storage of your important data. You can protect your data and avoid unwanted access to your sensitive files with password-based security, and file encryption using SanDisk SecureAccess software. Moreover, with a storage capacity of 64GB, you can store and carry several images, videos, and other digital files anywhere you go. Gone are the days when you need to lug around a boxy external storage device in your bag whenever you need to transfer large files. Today you can store and transfer files as large as 1 TB in flash drives that are half the size of your thumb. There are so many different options available in the market today that you might get a little overwhelmed at the prospect of choosing one for purchase. Before you make any decision, there are a few things you need to keep in mind. It’s not just about speed always. Always go for a flash drive that matches the speed of your system’s main drive. Even if you get a USB drive that has a higher speed than your primary drive, then you won’t be able to benefit from the high speed at all. If you are spending a substantial amount of money, make sure that the product has a warranty available. Before purchasing any flash drive, make sure to read various customer reviews from different sites. All reviews should be taken with a grain of salt as some people mistakenly blame a product for issues they might have accidentally committed. By reading reviews from a variety of sources, you will get a better picture on the overall quality and performance of a flash drive.